Beloved British Avro Vulcan bomber XH588’s last flight is behind us, but the Civil Aviation Authority is not done examining its end of life antics. In particular a series of aerobatic maneuvers, seen in the video below, that were executed over Lincolnshire on October 4th. The maneuvers in question, which look an awful lot like rolls, occurred after a ban on vintage jet aerobatics was put in place following the horrific crash of a Hawker Hunter at Shoreham in August. He added: “This did not occur during an air display. Although not normally allowed under its current permissions to fly, a roll is a benign manoeuvre and the Vulcan’s maintenance support organisation has confirmed that the aircraft is safe to fly. 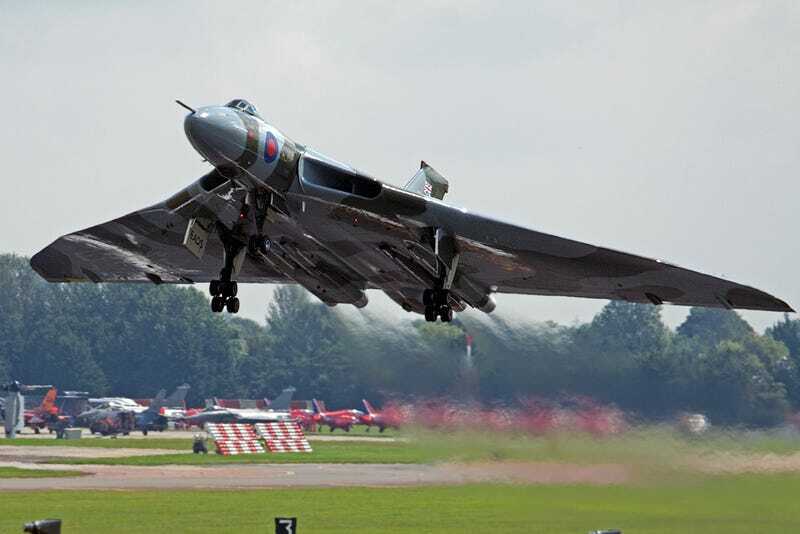 Will the CAA give the Vulcan to the Sky Trust a break under the circumstances, especially considering the bomber will never fly again? We will keep you updated as to how the story unfolds.